International Raceway, Watkins Glen International and Road Atlanta. Features two styles of cars, Prototype and GT (Grand Touring). the track together, each with their own battle for the lead. 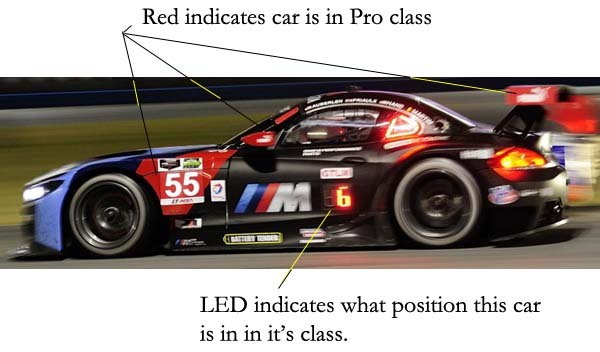 Pro-Am classes pair a professional driver and amateur driver. plate, class decal, and leader light. windscreen banner, rear wing end plate, class decal, and leader light. mounted on the side of the car near the rear. 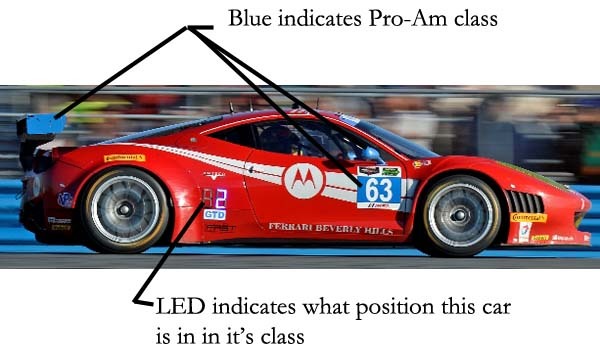 colors utilized in both the Prototype and GT style of cars. For instance, a red No. The Prototpe (P) class features the fastest and most technologically advanced cars in North America. They are specifically designed and engineered for the race track and look drastically different than a typical street car. chassis, carbon brakes and sequential gearbox. manufacturers such as BMW, Corvette, Ferrari, Porsche, and SRT. 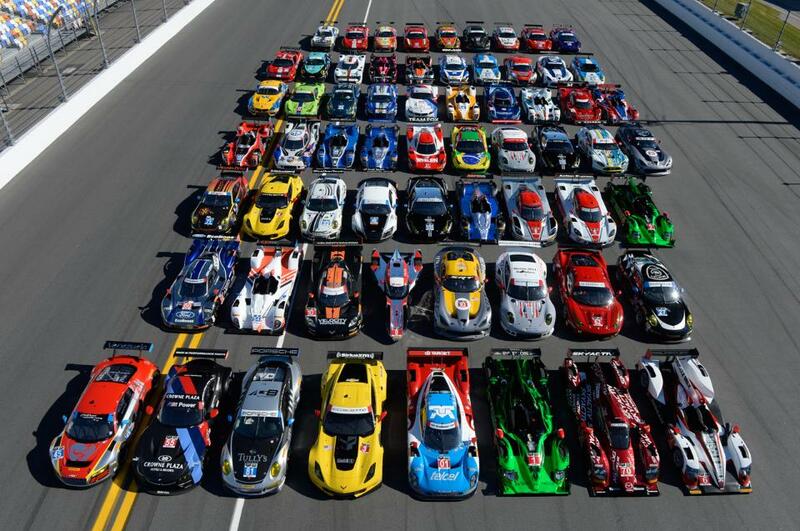 GRAND-AM GT and ALMS GTC classes, as well as FIA GT3-spec cars. Note: All classes strictly run Continental tires except for the GTLM cars which can also run Michelin or Falkens. Every driver and team also gets a point for starting a race.